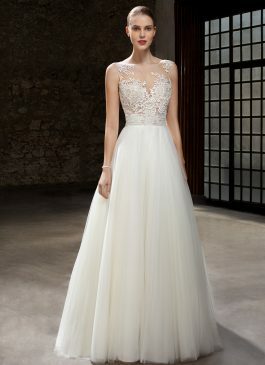 ARE YOU LOOKING FOR ELEGANT YET SIMPLE WEDDING DRESSES? 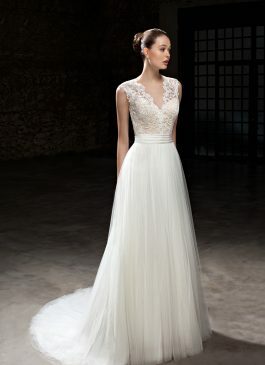 At The Sposa Group we have a gorgeous range of simple wedding gowns for the minimalist bride. Created by internationally acclaimed designers, our selection of simple wedding dresses is crafted to reflect a delicate feminine touch. Unique and striking, the enduring beauty of our simple wedding dresses is breathtaking. 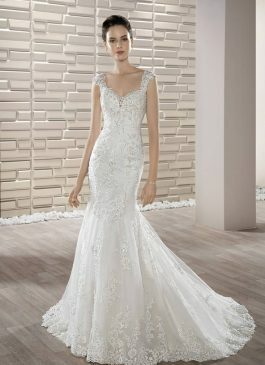 The Sposa Group is home to wedding dresses in an array of styles. 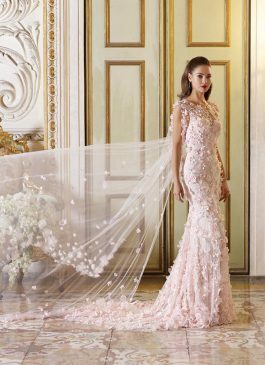 We understand that every bride has a vision of her dream wedding dress and it is our endeavor to make your dream a reality. 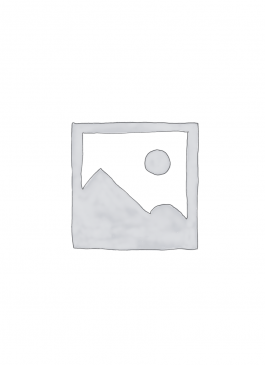 Your search for a simple wedding dress designer ends here with our classy wedding gowns. Our designers emphasize on intricate details to create minimalistic wedding gowns that are distinct and offer a sophisticated look. With their subtle design elements, they reflect a striking freshness to create the perfect wedding-day look. 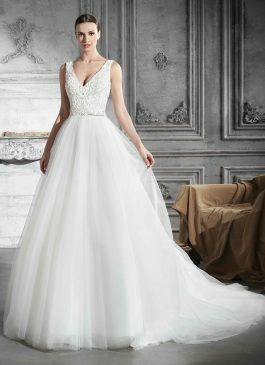 There is an element of glamour associated with simple and minimalist lines ,Our selection of simple yet splendid wedding dresses is artfully created to enhance your personality. With their exceptional fit and innovative styling, they provide a versatile look. 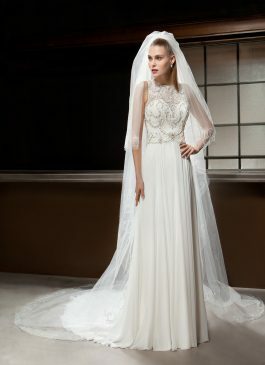 Gorgeously understated, simple wedding dresses indeed create the perfect look. 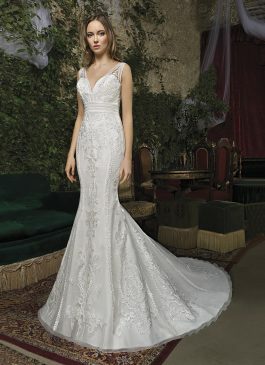 Browse our collection for an impressive range of simple wedding dresses in an array of styles. We have something to suit every bridal theme. Whether you want a vintage look or a fusion of modern and traditional styles, we are sure to have a gown that perfectly meets your needs. Created from rich satin and crepes, the wedding gowns reflect your unique style and individuality. 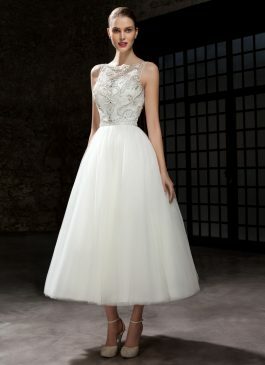 You can choose from our ball-gowns, strapless wedding dresses or a short dress, the options are endless. 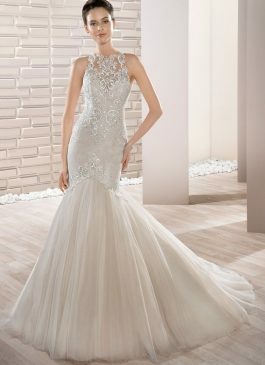 We have simple wedding gowns with a semi-voluminous natural flow and gowns with exceptional fits to enhance your curves. With their simplicity and clean lines, our selection is sure to make you look and feel beautiful. Our Sydney boutique features some of the world’s leading luxury brands. 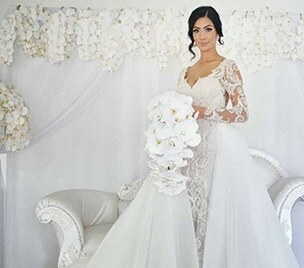 If you wish to know more about our simple wedding dresses, enquire to our welcoming team of girls at (02) 9560 0095 Or email us at info@thesposagroup.com.au.